Friendly, knowledgeable, and helpful — come visit Brooks & Collier at 813 Meridian Street and start Living Lively Inside...and Out! 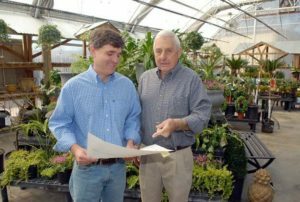 Originally opened as a successful feed and seed store in 1946, the NEW Brooks & Collier has absorbed the best of the past 71 years in business, to bring you a home and garden shopping experience that will keep you coming back for all your indoor and outdoor living needs! 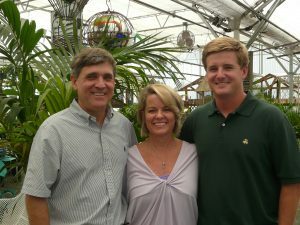 Greg's dad Billy, transformed the original store into an outdoor nursery and gardening store in the 1970s. His mother Doris opened the second store in the 1980s on South Parkway. This store introduced casual furniture to Brooks & Collier's quality merchandise. "People get involved in decorating and furnishing their backyards, patios, decks, and pool/sauna areas," says Greg. "They design their own flowerbeds and herb gardens. They often need guidance and advice, but they have grand expectations and know what they want when they see it," Greg says. "We are still a family operation who cares deeply about our customers. We sell quality furniture, gifts, indoor and outdoor decor at a reasonable price. We have also designed the store to present our merchandise in the most pleasing way, so that shopping our store, we want you to feel you can see it in your own home." The Brooks' have been around Huntsville for many years, Greg admits. "Of course back in my grandfather's day, Huntsville wasn't as big as it is now and when I was a kid, we lived 'out' in the country by downtown standards. They used to 'let us in town' if we promised to behave," he jokes. Perhaps it is that perfect mixture of country living with elegant in-city style that makes Brooks & Collier North Alabama's favorite indoor and outdoor shopping experience.